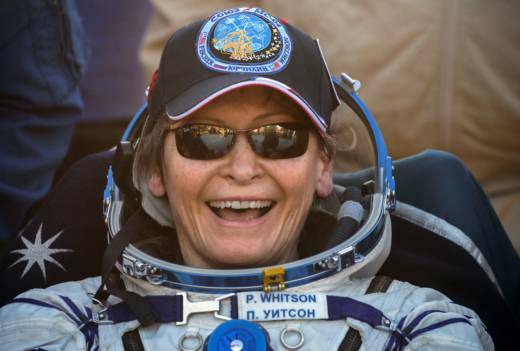 NASA’s record-breaking astronaut, Peggy Whitson, is retiring. The space agency announced her retirement Friday, her last day on the job. Whitson has spent more time off the planet than any other American: 665 days over three missions. She was the first woman to command the International Space Station, holding the position twice, and the oldest woman ever to fly in space. She was also the world’s most experienced female spacewalker and the first woman to serve as NASA’s chief astronaut. The 58-year-old biochemist joined NASA as a researcher in 1986 and became an astronaut in 1996. Her last spaceflight was last year. NASA officials say Whitson set the highest standards for human spaceflight and was an outstanding role model across the globe.